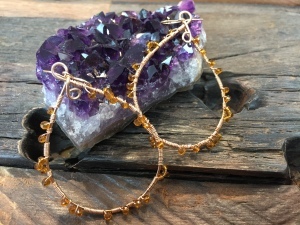 Create a pair of organic shapes from wire, then embellish them with coiled wire and sparkling beads. This technique is the basis for many earrings you find in high-end department stores and boutiques. Once you learn how easy it is, you may never shop for earrings again.